As I returned from the 2010 American College of Rheumatology Scientific Meeting last year, I painted a picture for you of its significance and the impact it made on me. Those words are still a proper backdrop as we review the events of the 2011 meeting: Context, Care, & Complicated and I hope you’ll read them again today. Over the next several months, we’ll examine several of this year’s scientific studies. 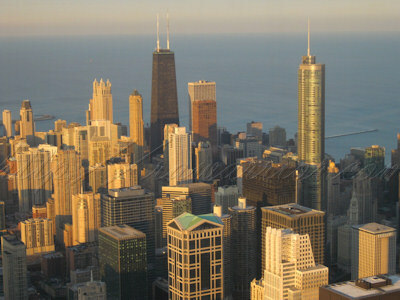 However, people are asking me what happened in Chicago that will affect patient care! So, my challenge is to convey the impact of the 2011 meeting overall. That’s a tall order since there were 16,000 attendees and over 2600 abstracts! Scientific evidence is presented in published abstracts, a handful of which make the news in the rheum world. During the week, hundreds of oral presentations are made by research teams from around the world. An enormous room held 2122 posters over the course of the conference, each presenting results or progress in a particular study. 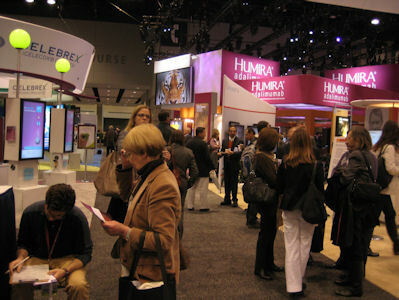 Attendees walked through the hall discussing the studies and strategies for new research. Over the three years that I’ve been writing articles about Rheumatoid disease, evidence has been a critical thing that patients have needed. Evidence that’s well done tends to support the experiences of RA patients and lead to better care. Period. Some of the evidence presented at the ACR meeting is critical to that end goal of better care. We’ll find as much of it as possible to bring to you here. Every minute of the week was filled with encounters that will make a difference in the way I think, write, and research. Every day, we met with people who want to help us find ways to make life better for people living with RA. We met patient volunteers dear friends who live with RA, rheumatologists who appreciate and care about patients, and researchers who want to unravel the mystery of RA to help us live better and longer. The exhibit hall is filled with elaborate state of the art electronic media and inviting smoothies and coffees. Companies put their best foot forward so it’s quite a show. We spent a lot of time here sharing the patient point of view, both at our Rheumatoid Patient Foundation (RPF) exhibit and at the other exhibits. There will also continue to be more about the RPF’s ACR exhibit is also being reported on the RPF’s events blog – click here. Please enter coupon code NoLines2011 before completing checkout. Discount is applied to the base price and does not include taxes, or additional charges. This offer may not be combined with other offers. If the word spreads like wildfire it’s possible some orders may delayed beyond normal estimates. Coupons valid from 11/16/2011 to 11/21/2011 11:59 pm Mountain Time. Kelly, thanks for all you do! Did anybody have any great ideas how we develop this disease? My rheumy said the latest studies show environmental…possibly being exposed to cigarette smoke for prolonged amounts of time?? Please tell me this is a focus! We rarely talk about why we get RA! Smoking has long been thought to be an environmental risk for RA. But there is more to the story… and as I read your comment just now, I have a study on my lap about it for a post I’m working on. So stay tuned! The answer is yes – that there are those researching the triggers for RA – the more we understand about what causes it to start, the better we will be able to develop strategies to stop it.